I have been using this exact roll for over 25 years! Not kidding! After seeing a doctor for neck pain I was told I had lost the natural curvature in my neck. I began sleeping on this roll (I use it by itself, not in a pillow) and my subsequent x-ray (1 year later) showed the curve in my neck had returned. 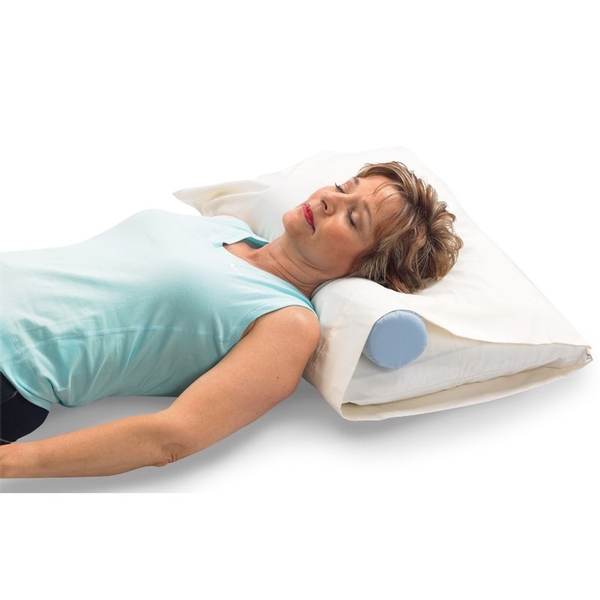 I sleep on it every night and during the day if I&apos;m feeling tightness in my shoulders, I lay down on it for 15 minutes and the tension in my neck usually subsides. The only unfortunate thing is through the years they have reduced the foam density of the roll and it softens WAY too quickly, so now I have to buy several a year. I forgot my old one on an Alaskan cruise. I had saved the info on the attached tag, so I Googled and found you. Quick and efficient delivery and service. Thank you! I had an itching feeling down my arms as well as intermittent numbness in my hands in a supine position. No neck pain. 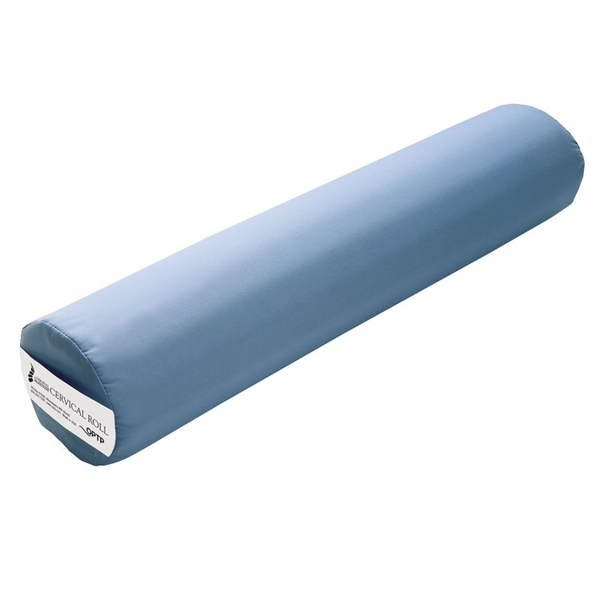 I purchased this cervical roll and used it in my pillow for sleeping and the symptoms were gone. I stopped using it after 18 months and was fine for about a year and the symptoms came back and after one night of using this pillow the symptoms were gone. I&apos;m going on vacation at my daughter&apos;s for 15 days and I&apos;m ordering a second one and shipping it to my destination before I get there so I&apos;ll always have it there when I visit. This is based on the traditional treatment in southern part of India. In olden days when we had neck sprain, or pain we used to sleep keeping arecanut tree stem as pillows. The pain and sprain is gone in a day. This Cervical roll is also looks like stem of the arecanut tree except this is soft. The product can be little more firmer according to me. I have been having a pinched nerve for the last year with tingling of the shoulder, numbness of the upper back and neck pain. I am using this product for the last 20 days and my pain has subsided. Had the pillow little more firmer the result should be faster. Bought it along with Treat Your Own Neck. Took a little while to get used to, but I like how I feel in the morning. You can put it in any pillowcase, so it’s really nice for travelling.